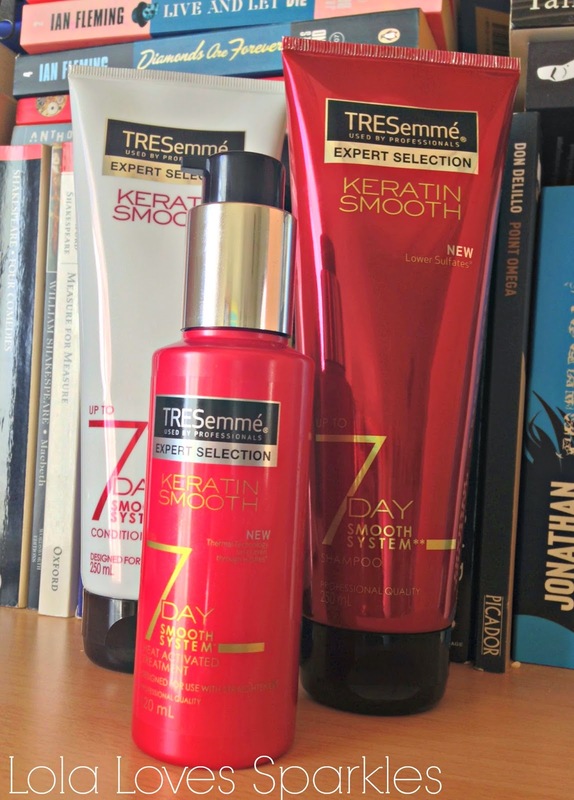 About 2 weeks ago I was introduced to this brand new product by TRESemmé - the 7 Day Smooth System* - which consists of a 3 step system [shampoo, conditioner and a treatment/balm]. They are Keratin enriched products and they are made to be used with straighteners. As the title implies, today's post will mainly focus on the shampoo. First of all I would like to say how I love shampoo/conditioner packaging which come in tubes like this one. 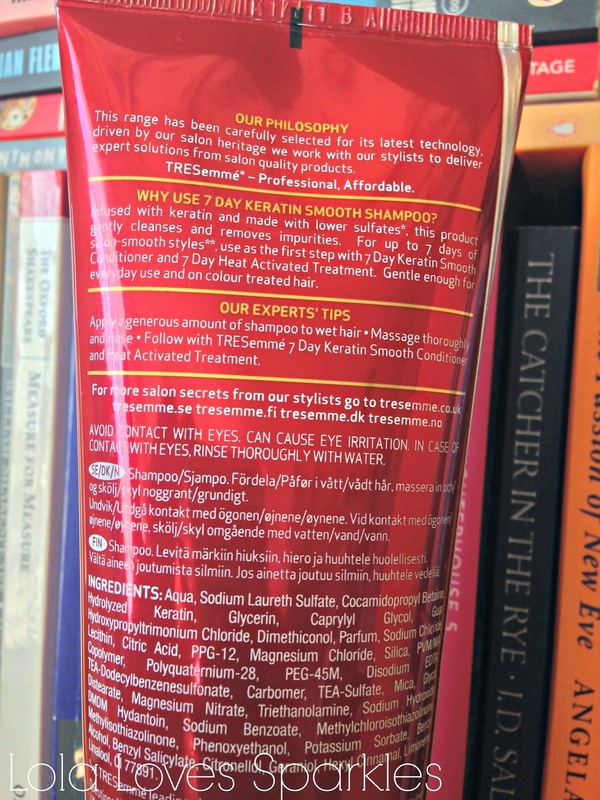 It looks more versatile and gives it an expensive look / feel [even though like other TRESemmé products, these are highly affordable - more on that by the end of the post]. The smell of this shampoo is to die for and it lingers on the hair for quite a while. It also lathers super well and gives your hair a thorough, deep cleanse, although I always shampoo twice. This TRESemmé 3-step system promises to give your locks a salon-smooth effect - which [gulp!] lasts even through washes! How good is that? It is of course best to use these products when you'll be using straighteners with them, since it has a revolutionary thermal technology which is activated by the heat of the straighteners, giving your hair a smooth feel. It is also best if you use the products all together [so shampoo/conditioner/treatment] to get the best of results. 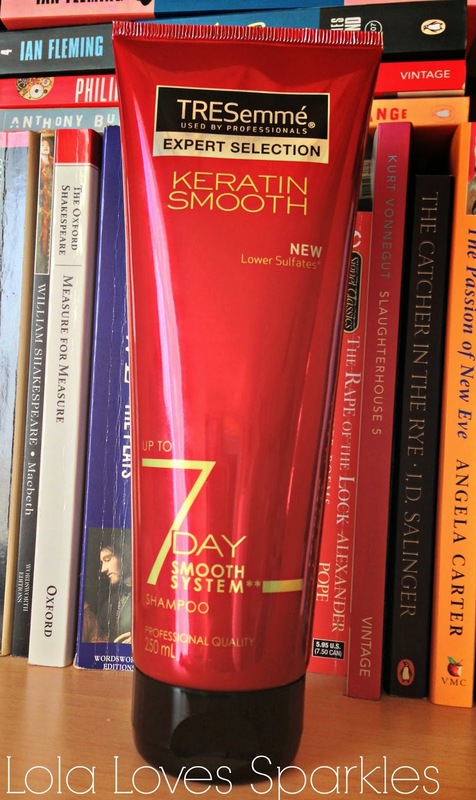 The TRESemmé 7 Day Smooth System Shampoo costs €6.75* and it is now available throughout Malta and Gozo. Keep posted for the next TRESemmé review! ***Disclaimer: This product was sent to me by TRESemme Malta for review purposes. I was not paid to do this review. What I wrote in the review is my honest and unbiased opinion.